The Russia sanctions bill that passed the US Senate by 98:2 on June 15 is a bombshell; it directly demonizes the Nord Stream 2 pipeline, under the Baltic Sea, which is bound to double Gazprom’s energy capacity to supply gas to Europe. The 9.5 billion euro pipeline is being financed by five companies; Germany’s Uniper and Wintershall; Austria’s OMV; France’s Engie; and Anglo-Dutch Shell. All these majors operate in Russia, and have, or will establish, pipeline contracts with Gazprom. “Europe’s energy supply is a matter for Europe, not the United States of America”; “instruments for political sanctions should not be tied to economic interests”; and the whole thing heralds a “new and very negative quality in European-American relations”. “the United States Senate by a nearly unanimous vote have decided to declare war on Russia (sanctions are war) and Germany has threatened retaliation against the United States if it initiates sanctions. The usual Brexiteer suspects obviously are falling like a ton of bricks over the “Molotov-Ribbentrop 2 pipeline” – another trademark expression of paranoia by Poland. What’s really unforgivable though is that Nord Stream 2, in practice, buries for good failed state Ukraine’s $2 billion in revenue from pipeline fees. 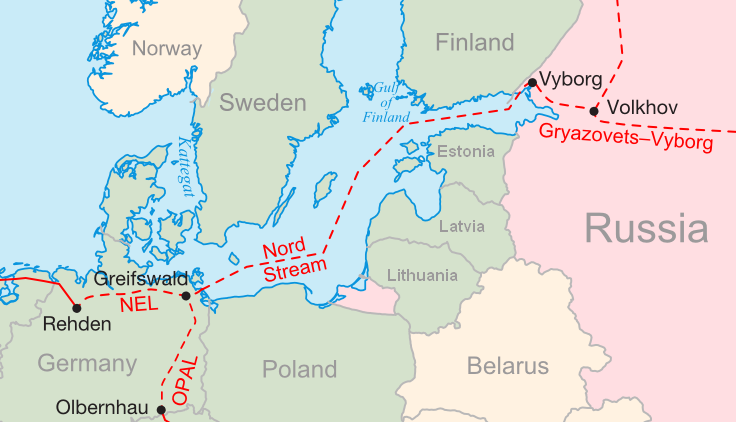 Nord Stream 2 is opposed by all the usual suspects; Poland; the Baltic states; Washington; but also the Nordic states. The top official argument is that it “harms EU energy security”. That in itself embeds a massive joke, as the EU has been harming itself in interminable “energy security” discussions in Brussels for over a decade. And guess who was trying to sabotage the agreement 24/7; recently deceased Polish “Grand Chessboarder” Zbigniew Brzezinski. It’s not an accident that the US Senate sanctions bill targets energy; this is a sub-product of a fierce energy war. But what is the US Senate really up to? Call it creative (lucrative) destruction. 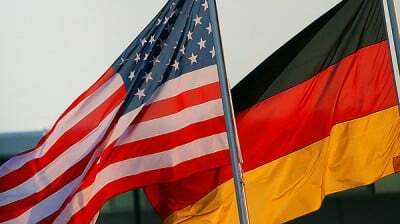 The US Senate is convinced that Nord Stream 2 “would compete with US exports of liquefied natural gas to Europe”. Thus the US government “should prioritize the export of United States energy resources in order to create American jobs, help United States allies and partners, and strengthen United States foreign policy”. Yet this has absolutely nothing to do with helping “allies and partners”; it’s rather a case of US energy majors getting a little help from their friends/puppets in the Senate. It’s in the public domain how US energy majors donated over $50 million in 2015/2016 to get these people elected. Compared to the US Senate, the role of the European Commission (EC) in the saga remained somewhat murky, until it became clear it will interfere via a “mandate”. This “mandate” will have to be approved by a “reinforced qualified majority” vote by member states, a higher than usual threshold of 72 percent of EU states representing 65 per cent of the population. The Senate bill will have to be backed by a veto-proof majority in the House; that vote won’t happen before the G-20 in Hamburg. Then it would become law – assuming President Trump won’t squash it. The key, “nuclear” issue is a non-mandatory clause for the US Treasury to sanction those five Western firms involved in Nord Stream 2. If the law is approved, the White House better ignore it. Otherwise Germany, Austria and France will definitely interpret it as a declaration of war. Trump and Chancellor Angela Merkel will definitely be on a collision course at the G-20, with Merkel emphasizing discussions on climate change, refugees and no trade protectionism, much to Trump’s disgust. The Russia sanctions bill just adds to the unholy mess. Expect a lot of fireworks “celebrating” those bilaterals in Hamburg.